Introducing our latest survival spawn, Easter Island! 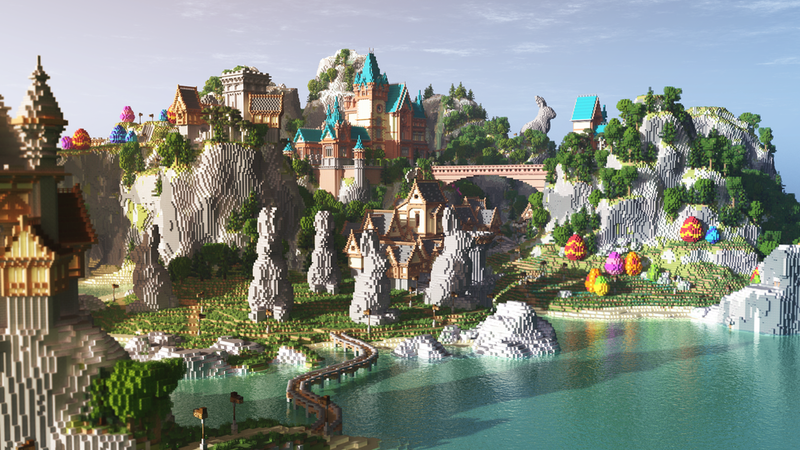 This huge fairy-tale island is filled with amazing castles, giant statues, enormous eggs, and 10 brand new Minecraft mobs to discover. Complete this epic egg hunt to unlock Easter Island's adorable creatures, and make this island your home in the process!